Pizza is one of America’s favorite foods. We can find a rendition of the classic Italian food almost anywhere. From restaurants and school cafeterias to entire aisles at the grocery store. Pizza has never had the connotation of being a healthy food, but do you know just how much the nutritional value affects those who eat it? It is not so much the contents of pizza that are bad for us, but more so how much we consume it, and how often we consume it. On any given day 20 percent of young Americans eat pizza. And how many of us have been known to stop at just one slice? Or even two? A study by the School of Public Health at the University of Illinois at Chicago found that if we eat less pizza, or even just healthier pizza, it could have a huge impact on our diet, nutrition, and health. Here are some delicious, and nutritious pizza recipes that can replace the greasy delivery pizza we order one or twice a month. 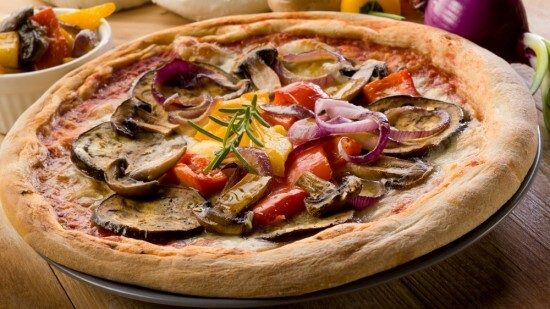 Get your pizza fix, without poor nutrition weighing you down. 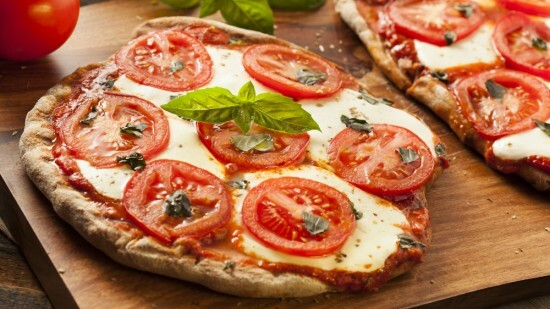 This margherita pizza is simple and light. Be sure to use quality ingredients when making it. Find the best mozzarella cheese possible, and be sure to use fresh basil. The homemade dough is absolutely delicious and infused with cornmeal for extra taste. At only 421 calories a serving, this recipe will become a crowd favorite. 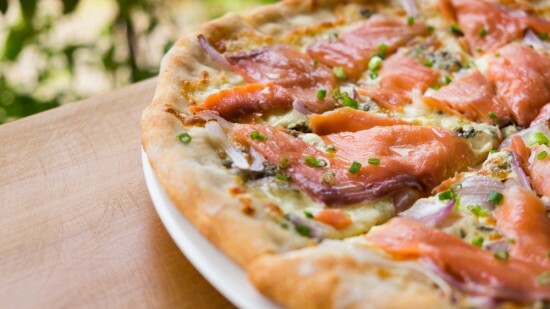 Salmon loves will love this smoked salmon thin-crust pizza. This crunch crust is delicious when paired with silky soft salmon. Red onions, and caper only add to the flavor of this delicious pizza. And don’t forget to top it off with fresh dill before your first bite. This veggie grilled pizza is bright and fun. It’s packed full of delicious smoky grilled vegetables. Eggplants, zucchinis, bell peppers and more give this pizza a nutritional punch. The additional flavors of garlic, mint and thyme pull this meal together for unbelievable flavor. You may think you are not a fan of beets, but you have not tried this roasted beet pizza yet. These perfectly roasted golden beets are full of flavor on this pizza. Not to mention the lovely helping of feta cheese and hint of honey. At only 104 calories per serving you can have an extra slice. Or two. Neighbors Emergency Center supports your start to a healthier lifestyle. Visit our new Tyler location at 2222 E. Southeast Loop 323, Tyler TX 75701. With a 24 Hour Emergency Rooms throughout the Houston metro area, we can treat you quickly and effectively so you can get back to doing what you love.